Sixteen-year-old Willow receives a terrifying vision when she gives her classmate Beth a psychic reading. Beth is in awe of what she views as a transcendent experience with an angel and is determined to drop out of high school and join a cult called the Church of Angels. Willow warns her that her angel is an evil entity that has fed off her life force and might make her sick or even kill her, but she only succeeds in enraging Beth, who refuses to change her plans. Seventeen-year-old Alex has been trained for one purpose since his childhood, to assassinate angels. Though angels are spirit, they can readily assume an incarnate form and pass for a human. But when they are seeking human prey or feeling threatened, they resume their real, angelic form, with huge wings and a halo. The halo is their weak spot. When a bullet is fired directly through the center of that bullseye, the angel explodes. This is the only way they can be killed, and it is extremely difficult to pull off, but Alex is a seasoned pro at the job. So much so that he proudly bears the title "AK" for "Angel Killer." Alex used to work with a small group of AK commandos operating out of an isolated desert compound, but several years ago their mission was taken over by a covert, government agency. Since then, Alex has been cut off from his peers and receives messages by cell phone as to his next angel target, which currently is Willow. Alex easily breaks into her home and observes her as she sleeps, but he is startled when his trained ability to spot angels within a human disguise informs him that she is not an angel. On the other hand, she isn't human either. When an abortive attempt to rescue Beth from the Church of Angels makes Willow a major target of vengeful angels, Alex takes her on the run with him to keep her safe. As they flee, surrounded by terrible danger on all sides, Alex and Willow move from enemies, to comrades in arms, to something much, much more. (1) I love it that Alex is not just a piece of the heroine's scenery but a full-fledged co-protagonist whose point of view is delivered on almost as many pages of the book as Willow's. He is a dynamic, engaging, utterly sympathetic character, who is fully realized in a riveting way. (2) I am delighted that the author has chosen to write a traditional romance in which there is no other romantic interest for the two main protagonists but each other from the moment they meet. In YA stories with a love triangle, all too often the third wheel becomes perfunctory excess baggage to the story and, worse, prohibits the main romance from being believably advanced to the point of the declaration of undying love that is the whole point of a love story. As a romance author once said to me, "The audience has to believe that the lives of the hero and heroine will be blighted forever if they don't end up together." That certainly isn't true if by the end of the book a large number of fans disagree with the author's choice as to which of the two romantic competitors would most blight the heroine with his absence. (3) I am a big fan of romantic suspense stories in which the hero and heroine are partners in taking down the Big Bad, especially stories where they start out enemies and then bond because of the dynamic of a shared threat from the villain. Even better for me is when the story consists of "two for the road" or "two on the run," as this one does. (4) It is such a relief when a YA author never forgets that compelling popular fiction requires a protagonist with a powerful goal that he/she relentlessly pursues. This is definitely the case with both protagonists in this book. (5) I've found that in virtually all popular fiction, but most especially stories with a strong action plot, such as this book, the most effective protagonists are usually strong, positive Warriors. I define this as a protagonist who is physically and/or magically powerful but who never uses that power to harm others, in marked contrast to the villain. On the contrary, the protagonist is determined to use every bit of power he/she has to protect the weak and defenseless. A protagonist like this will believably put others first, nobly sacrificing everything--up to and including risking his/her life--in order to take down a villain who is threatening the lives of innocent people. Both protagonists in this book have those qualities in spades, and they have plenty of potential victims to save. If they are not stopped, the evil angels may eventually wipe out the whole human race. (6) The strength of a protagonist can only be revealed when he/she is pitted against a worthy opponent, and this book certainly delivers on that score. The two protagonists face some terrifically terrifying villains. But even more than might in a villain, I look for one with a complex motivation. In that regard, the main villain in this book is one of the most interesting I've ever seen in a YA fantasy novel. 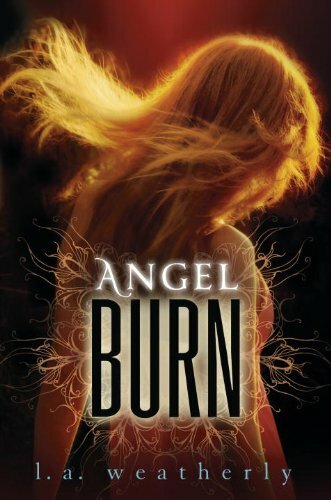 (7) Sophisticated world-building is indispensable for urban fantasy, and the author has done a great job with her unique angel mythology. (8) The basic writing that is the underpinning of the book is smooth and clear, and the dialog is particularly well done, which is an essential window into the characters. Was there anything I didn't like about this book? It was jarring to me personally that angels are presented as evil without any mention of them being "fallen." And the concept of physical bullets killing discarnate angels didn't seem logical to me. However, since the author is completely consistent with all the rules of her magical world throughout the book, including these two conventions, I soon accepted them as integral parts of that world.